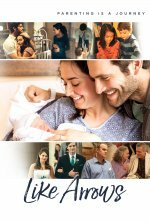 Focuses on the power of a family to shape the next generation as they turn to their faith after all else has failed. Like Arrows release date was Tuesday, May 1, 2018. This was a 1 Day Only release. Thursday, May 3, 2018. This was a 1 Day Only release.